1. 70% of companies will create more content this year (according to Content Marketing Institute). This increase in competition makes it harder to find ears and eyes for your content. 2. Consumers of all kinds continue to spend more time online, and less time in other information channels, where the relationship between content and audience is more linear. Online, content has a reliable reach problem. 3. Ad-blockers and related technology will make it harder to promote content through paid channels, and is driving the move toward native advertising (advertorial). So what do you do now? How do you get your content seen, heard, and played? Increasingly, the answer is to work with influencers and advocates. Whether it’s a YouTube star, a SnapChat phenomenon, a B2B industry thought leader, or a particularly passionate customers with little audience but a lot of enthusiasm, real people have become the broadcast networks of the modern age. You’ve probably heard and read a lot about influence marketing and working with advocates. You may have even done some experimenting with it. If so, you know what I know from working with our clients at Convince & Convert, and that’s the fact that influence marketing is still very much an ungoverned space, with a WIDE variety of approaches, metrics, best practices, and guidelines. Influence Marketing is the Wild West, if all the cowboys had big social media followings. There are a lot of great case studies in the nascent influence marketing and advocate marketing community, as pioneering brands are doing some amazing things. And on the influencer side, there are incredible stories of people who started to create content, built an audience, and now run a media empire – almost accidentally. It’s a fascinating time to be a marketer! 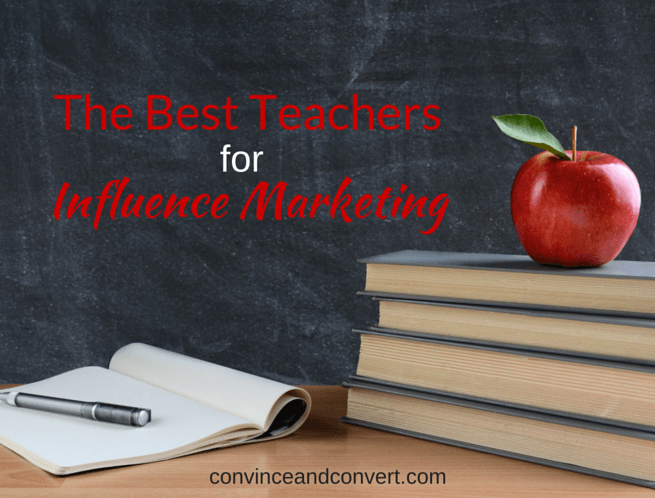 But as I looked around I found that other than a few blogs (including killer content here on Convince & Convert) and some occasional coverage in marketing publications, there wasn’t a go-to place for influence marketing education. Today, Convince & Convert Media launched a brand-new podcast (our fifth), called Influence Pros. Influence Pros is also sponsored by Zuberance, the leaders in advocate marketing solutions. I’ve had the pleasure of listening to the initial batch of shows, pre-release, and they are OUTSTANDING. Heidi and Todd know their stuff, and combine timely discussion on the latest and greatest in influence marketing with insightful questions of each week’s guest. And speaking of guests, what a lineup! So far, guests have included: Heather Whaling, Jason Keath, Jim Tobin, Allie Ingalls and Jennie Hughes from Whitewave Foods, Rebekah Iliff, and Gini Dietrich. Many more great guests on the way for Influence Pros, and if you have ideas on companies that have a great influence or advocate marketing story to tell, please let me know. The show launched today on iTunes et al. Please go to iTunes, Stitcher, or your favorite podcast app and subscribe to Influence Pros right now, so you’ll get each weekly show. Note that we’ll be publishing a blog post for each episode here at Convince & Convert, too.